My latest packet has a new twist! 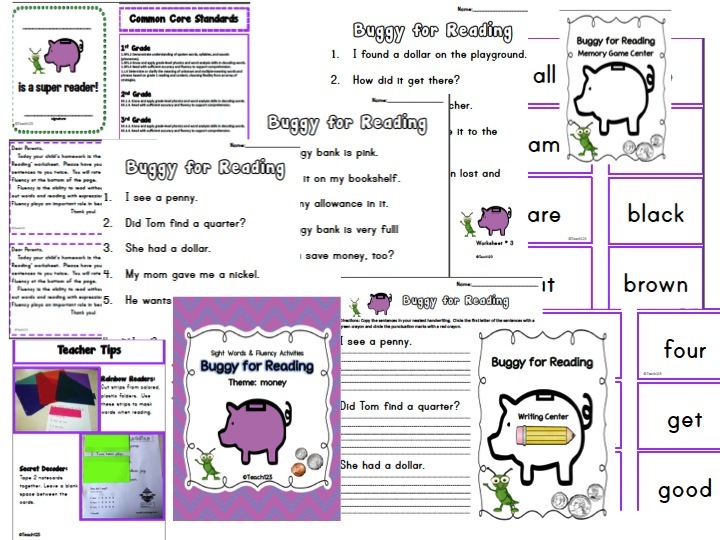 My friend, Fern @ Fern Smith’s Classroom Ideas and I co-authored the packet. Fern wrote the math activities and I wrote the language arts activities. 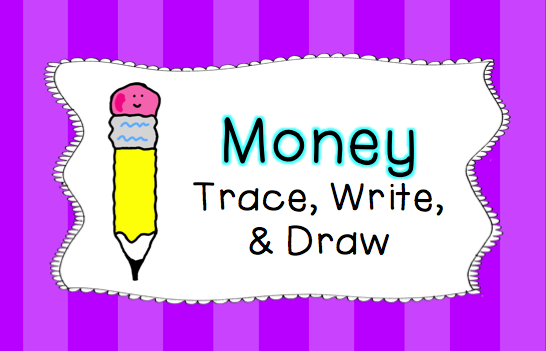 Students will trace, write and draw about words that are money-themed. There are nine signs that give options to differentiate this assignment. Word cards and group signs are included, too. 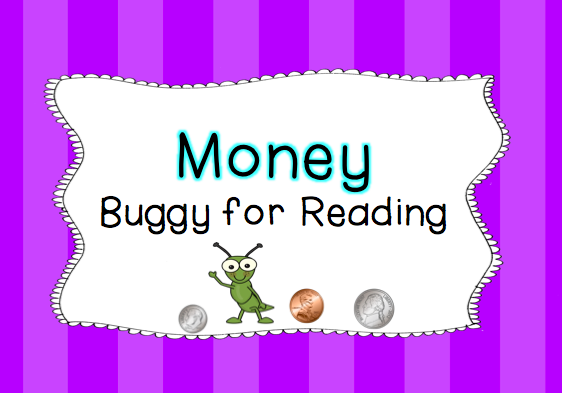 This is a mini-version of my Buggy for Reading packets. 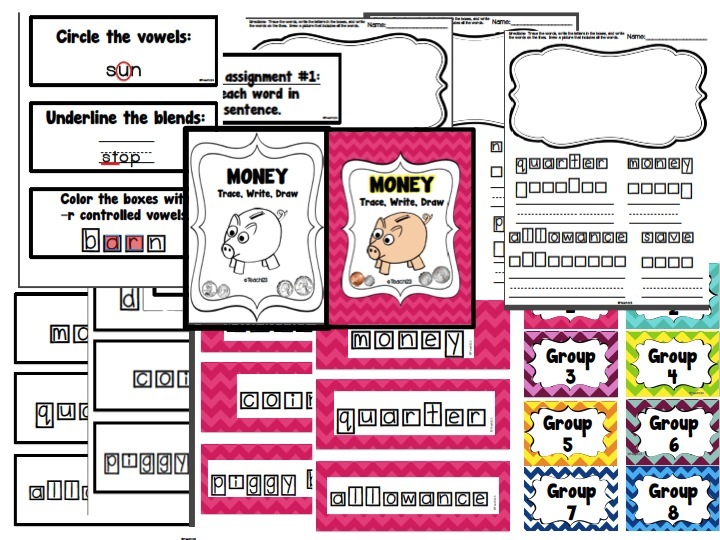 Three reading assignments, three writing assignments, and words cards used to make a memory game are included. 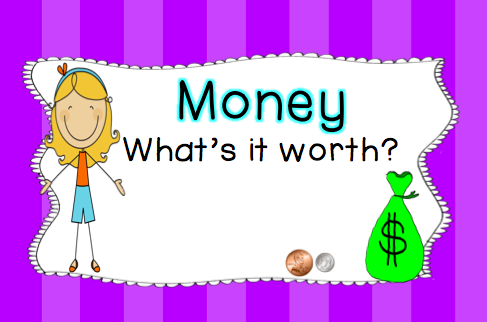 Students find the value of different money-themed words on three different assignments. 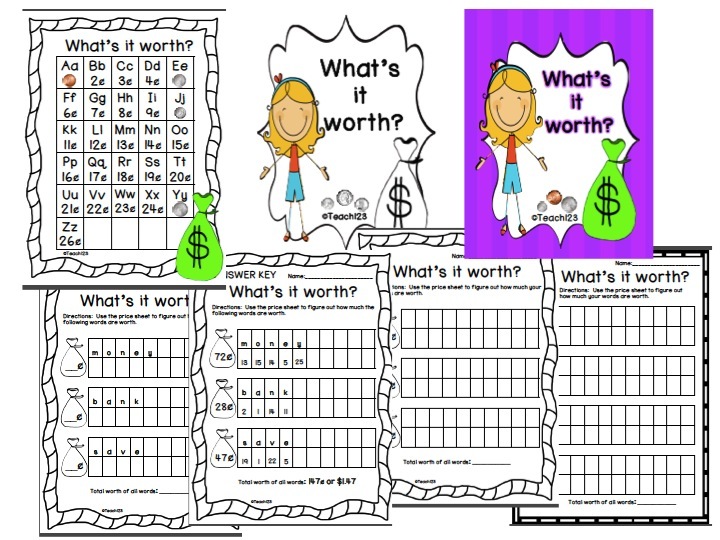 There are also two blank assignments included so students can also find the value of their word wall words or spelling words. 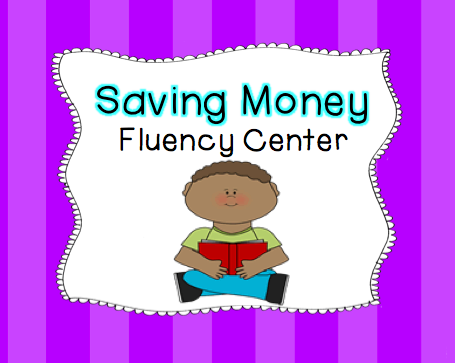 This is a mini-version of my fluency centers. 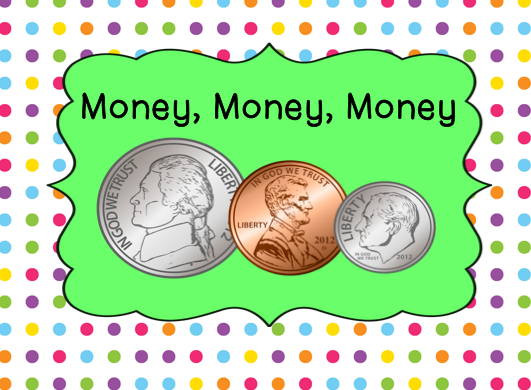 Students will practice their reading skills while reading money-themed sentences. 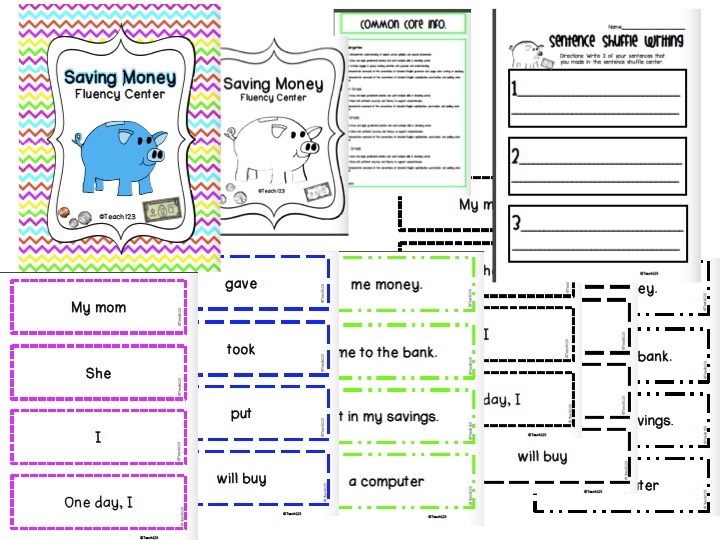 After reading the sentences, students choose three of them to write on their writing assignment. 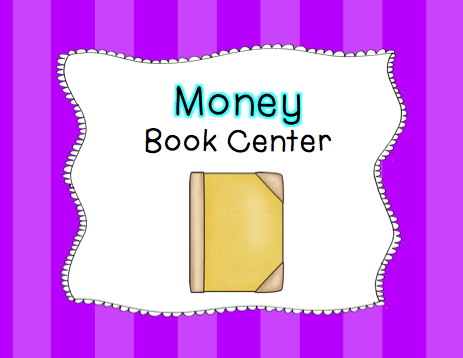 The book center includes: book list with title, author, reading level, and four assignments. 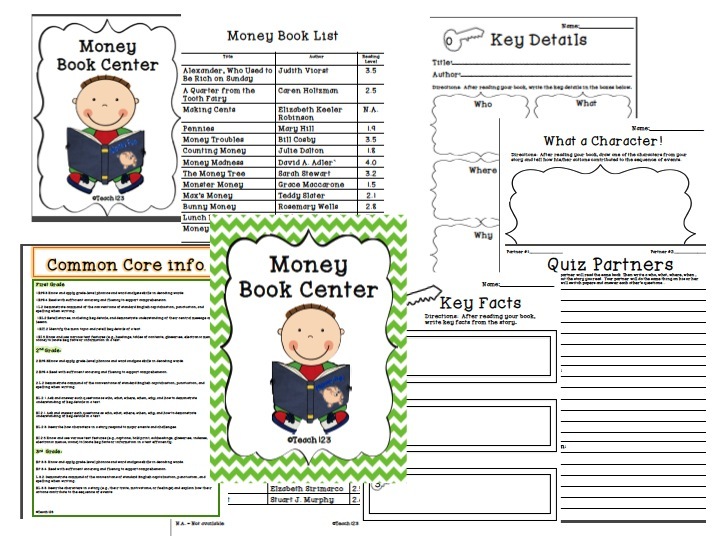 Fern made 3 math games, math posters, and a math center that are also included in this packet. Click HERE to purchase this packet. Thanks for the freebie. The packet looks great!